The 1994 documentary above, Einstein’s Brain, is a curious artifact about an even stranger relic, the brain of the great physicist, extracted from his body hours after he died in 1955. The brain was dissected, then embarked on a convoluted misadventure, in several pieces, across the North American continent. Before Einstein's Brain tells this story, it introduces us to our guide, Japanese scholar Kenji Sugimoto, who immediately emerges as an eccentric figure, wobbling in and out of view, mumbling awed phrases in Japanese. We encounter him in a darkened cathedral, staring up at a backlit stained-glass clerestory, praying, perhaps, though if he’s praying to anyone, it’s probably Albert Einstein. His first words in heavily accented English express a deep reverence for Einstein alone. “I love Albert Einstein,” he says, with religious conviction, gazing at a stained-glass window portrait of the scientist. Sugimoto’s devotion perfectly illustrates what a Physics World article described as the cultural elevation of Einstein to the status of a “secular saint.” Sugimoto's zeal, and the rather implausible events that follow this opening, have prompted many people to question the authenticity of his film and to accuse him of perpetrating a hoax. Some of those critics may mistake Sugimoto’s social awkwardness and wide-eyed enthusiasm for credulousness and unprofessionalism, but it is worth noting that he is experienced and credentialed as a professor in mathematics and science history at the Kinki University in Japan and, according to a title card, he “spent thirty years documenting Einstein’s life and person." Eventually, Sugimoto tracks down Thomas Harvey at his home in Kansas. When he requests to see the brain, Harvey brings out two glass jars containing the pieces. At this point, Sugimoto makes a shocking request: he asks Harvey if he could have a small piece of the brain to keep as a personal memento. Harvey says “I don’t see any reason why not” and proceeds to retrieve a carving knife and a cutting board from his kitchen. He cuts a small section from a sample he identifies as being part of Einstein’s brain stem and cerebellum and gives it to Sugimoto in a small container. In the final scene, Sugimoto celebrates by taking his piece of the brain to a local kereoke [sic] bar and singing a favorite Japanese song. The notion that the bulk of Einstein's brain would have ended up in a closet in Kansas seems strange enough. And as for Harvey: the pathologist shopped the brain around for decades—if not for profit, then for notoriety—even driving across the country with journalist Michael Paterniti in 1997 to deliver a large portion of the brain to Dr. Sandra Witelson of McMaster University in Ontario. Paterniti documented the road trip in his book Driving Mr. Albert, which appears to corroborate much of Sugimoto’s narrative, though the trip may itself have been a publicity stunt. In addition to the brain, Einstein’s eyes were also removed, without authorization, by his ophthalmologist, who kept them in a safety deposit box (where they presumably remain). The entire story of Einstein's remains is gruesomely outlandish, though one might consider it a modern celebrity example of the centuries-old practice of body snatching. If some or all of this intrigues you, you’ll appreciate Sugimoto’s documentary. Unfortunately, the video upload is rough. It was recorded from Swedish television, has Swedish subtitles, and is generally pretty low-res. However, as a title card at the opening tells us, “due to the extremely limited availability of this documentary, this will have to suffice until a copy of higher quality rises to the surface.” You can find it added to our list of 600 Free Movies Online. It seems odd, if not gruesome to keep body parts as revered keepsakes, but the Catholic church and other religions have done it throughout time. Similar souvenirs have been kept of other great men – the head of the great Seminole Indian chief Osceola was supposedly kept by the military officer who captured him. Einstein is like a religious figure to the secular world, although I doubt that anyone thought that possession of his brain imparted genius to the possessor. 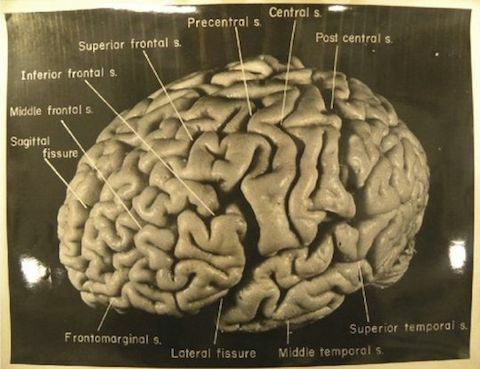 Now that we have much more understanding of the human brain, I would be interested in knowing what today’s scientists might learn from studying Einstein’s brain. Actually, Paterniti and Dr. Harvey road-tripped to California, where Dr. Harvey met with Evelyn, Einstein’s granddaughter (or maybe his illegitimate daughter, if you enjoy conspiracies). Interesting book full of bizarre stories, dinner with beat poet Allen Ginsberg being only one example.